Mark this on your calendar because this rarely happens…I ate a SAVORY breakfast this morning. Nine times out of ten I will gravitate towards a sweet breakfast but I figured I would go out of my usual this morning, and cook up an egg white omelet. I only set off the smoke alarm three times! 🙂 It’s very sensitive. I sautéed some onion and mushroom and then added them to my omelet along with fresh tomato. 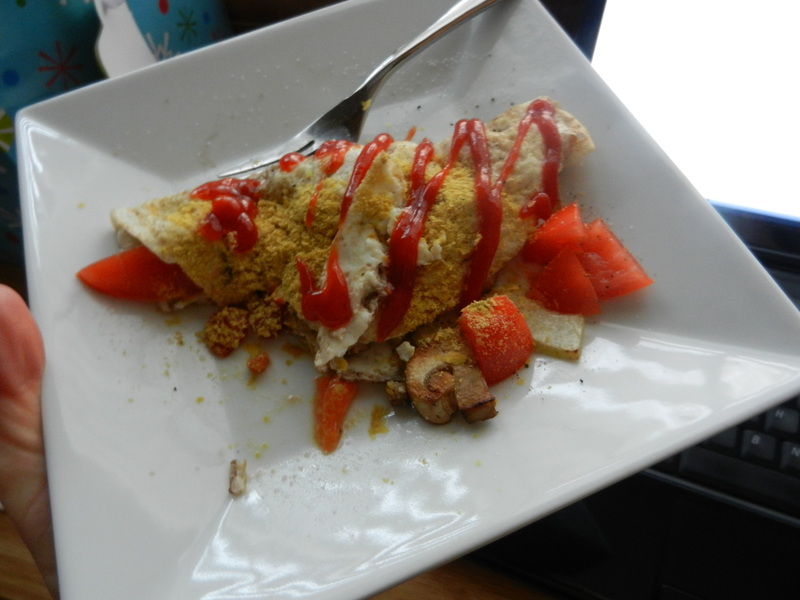 On the top, I sprinkled on nutritional yeast and then of course a drizzle of ketchup. It turned out really well, and I even got some veggies in already! I didn’t get up for my morning workout this morning but plan to go after work. It is supposed to be gorgeous here today so I am hoping to run outside! 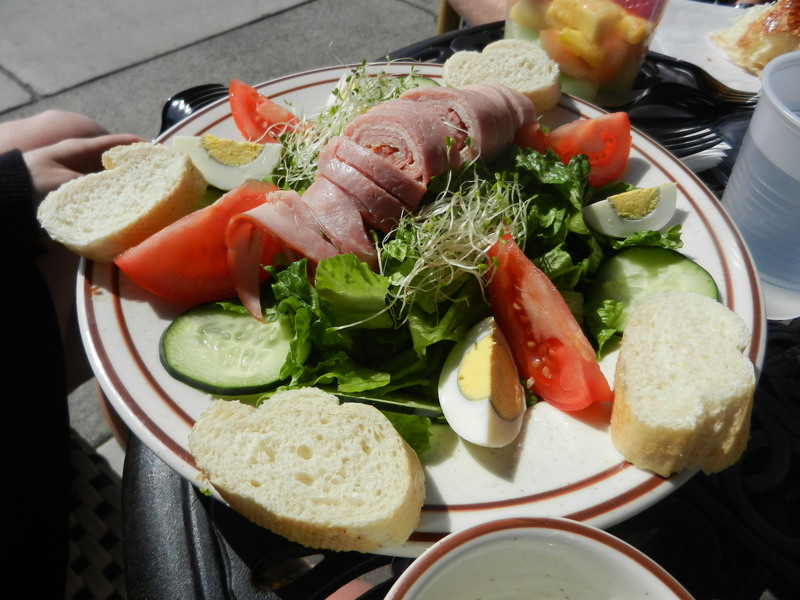 While amidst our vacation in California, I started thinking about how difficult it can be to eat healthy while away. I feel like no matter how hard I try, I still end up feeling a little bit “off” and not feeling so hot. It’s easy to get a little off track when you’re not in the comfort of your own home with your usual foods and usual routine. 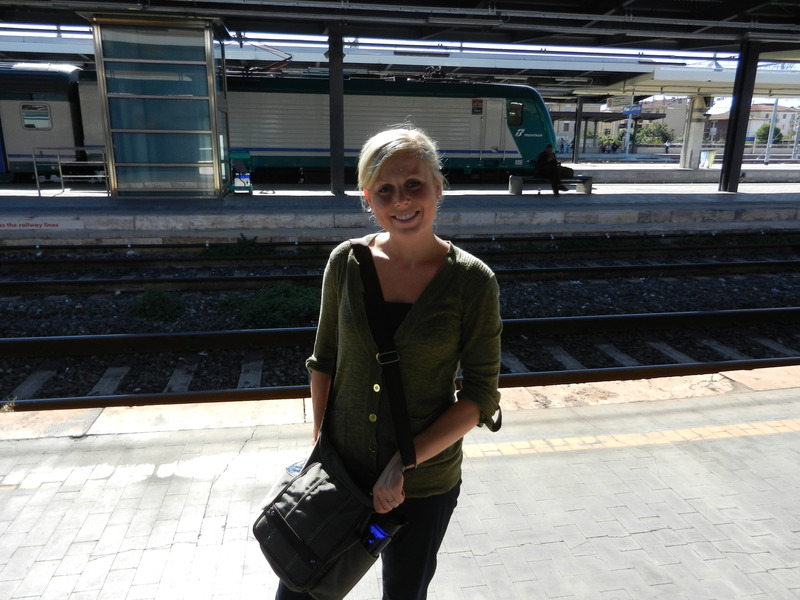 Here are some ideas I came up with to help you stay on track when are away from home. 1. Pack a piece of fruit (or two) in your carry-on. If you need a snack, you have a healthy one right on hand. Plus, fruit is full of water which is important while traveling as it is extremely easy to become dehydrated. 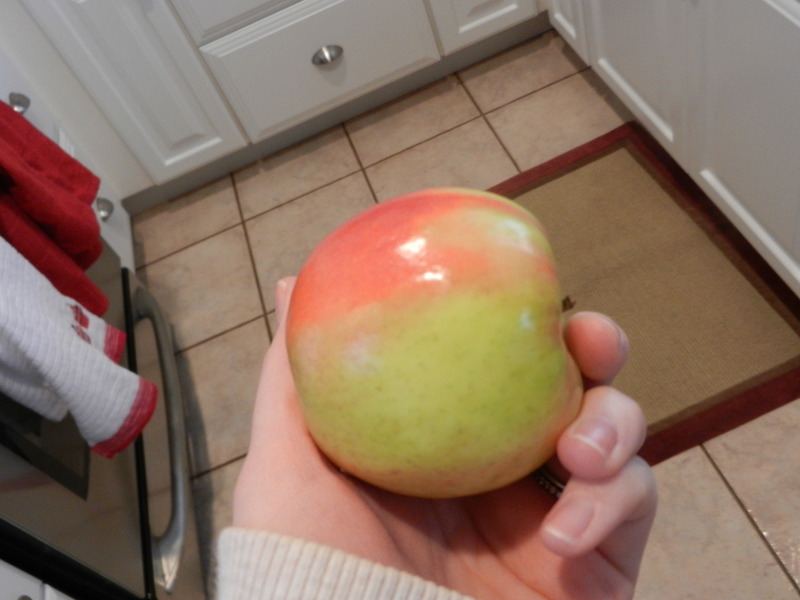 Veggies are great too, but not always as portable as fruit. 2. Try to eat vegetables with at least one of your meals throughout the day. 3. Pack some healthy energy bars like my favorite, Lara Bars. During vacations, we often go a long time in between meals without anything to eat. These bars pack well and carry well and are perfect for a burst of energy. Throw a couple in your purse or carry on. 4. When possible, eat breakfast at your hotel. Now, be careful with this one as many continental breakfasts can be full of low-energy carb traps (muffins, bagels, sugar-packed cereals). Try and find some instant oatmeal and get creative with mix-in’s: milk, banana, apple, peanut butter. Oatmeal has soluble fiber, which helps to keep you feeling full, longer. Better yet, throw a couple of instant oatmeal packs (from home) in your bag in case your hotel doesn’t offer it. If hard-boiled eggs are an option at breakfast, snag one of those as well. The protein in eggs will help tide you over for a while and give you a lot of needed energy for the day. Plus, free continental breakfasts are very nice on the wallet! 5. Try to eat protein at each meal: eggs, greek yogurt, fish, tofu, chicken, nuts, whatever it may be. 6. Carry a refillable water bottle with you at all times, and drink plenty of water throughout the day, at least 8 cups. Also, keep a glass of water by your bedside at night to encourage yourself to get a few sips of water in at night too. Can you spot the water bottle? 7. 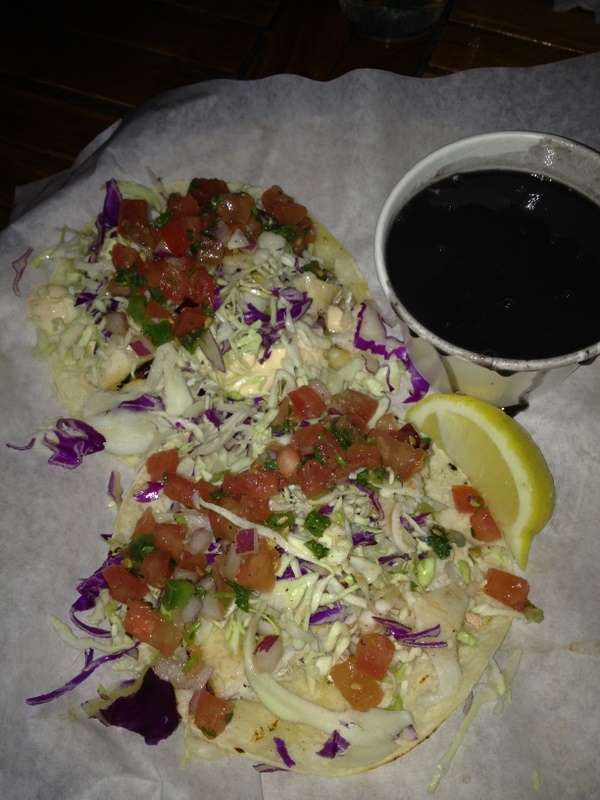 Be cautious of portions while out to eat. Remember that most restaurants serve you twice as much food as you really need. Be mindful while out to eat and stop eating when you feel full. This one is hard for me sometimes because some foods are just SO good. I always regret it later though. I’m still learning too! So there you have it, a few tips to help you to stay healthy while away from home, whether on vacation, for work, a child’s sporting event, etc. Also, don’t forget about the exercise part. Just because you are away doesn’t mean you can’t find time to squeeze in a few hotel push ups or a quick run. Give these tips a shot next time you are away from home. Come to think of it, these are good tips for when you are home as well! Last night we headed to mom and dad’s for a birthday dinner for Dana. His birthday is tomorrow but we have been celebrating since Saturday. Lucky boy! That is how I like to celebrate my birthday too, with a birthday week! I give mom an A+ on dinner last night. 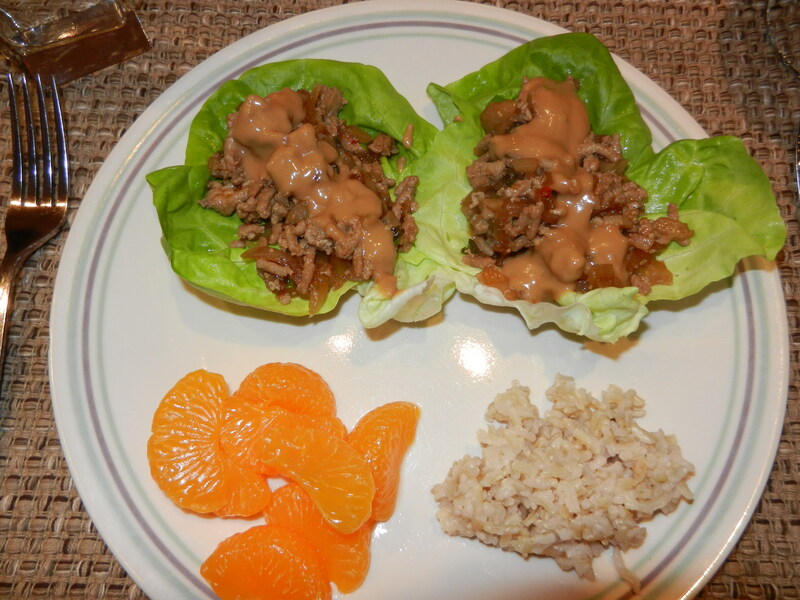 Turkey lettuce wraps with peanut sauce, brown rice, and mandarin oranges. A-M-A-Z-I-N-G! 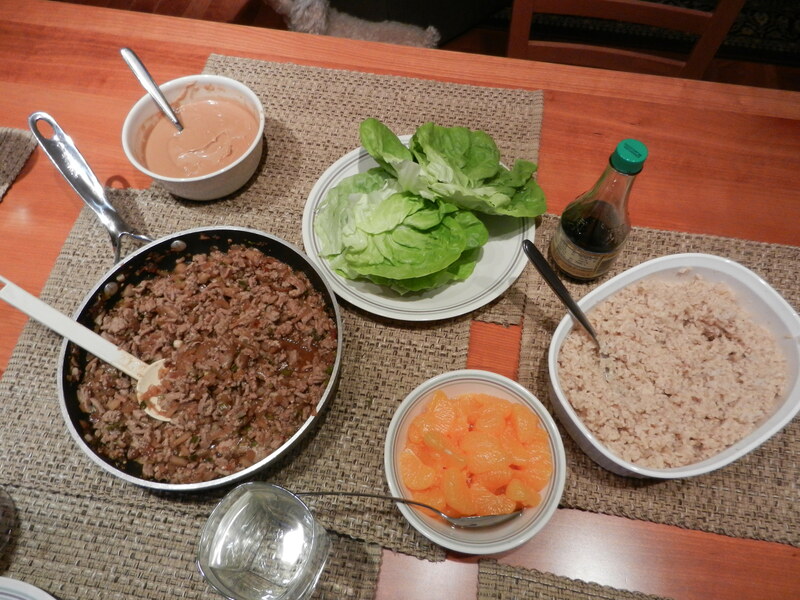 It was so nice to have dinner made for us too! Muchos gracias mom and dad! I’m off to work. Have a great Tuesday! 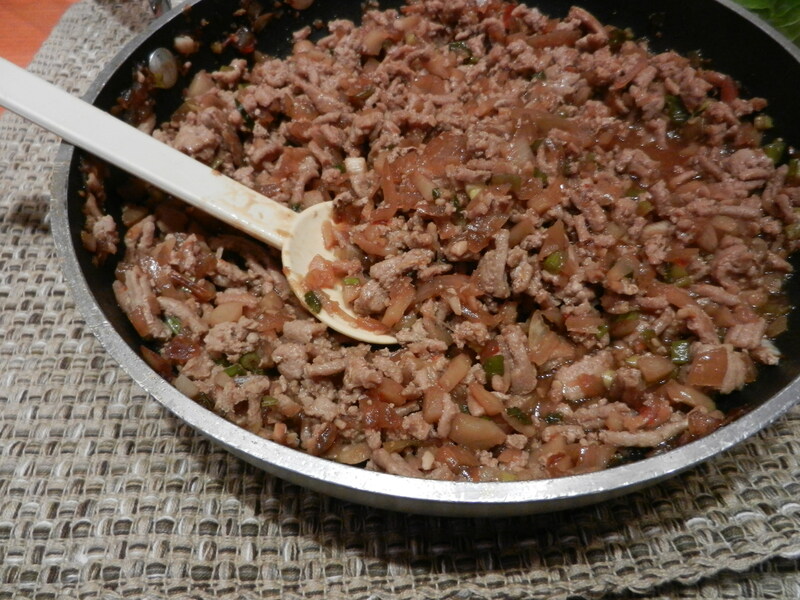 This entry was posted in Dinners, Family, Snacks, Vacations and tagged healthy living, LARABAR, Vacations by Melanie. Bookmark the permalink. Thanks, Mel! I try to do most of these when I travel, but am going to try those Lara bars and a few other things! Love the posts, as always! Thanks Krystle. You will love the Lara Bars!